Even though I have a million eye products, there's definitely some that I always reach for first when I want a "One and Done" look. These looks are my favorite to do since it's pretty much a swipe and quick edge blend with a few coats of mascara and my eye look is perfect. I tend to also use satin or shimmery eyeshadows for this kind of look since mattes can sometimes be harder to work with when you're short on time. I also focused on singles, but there are other eyeshadow palettes that have great one and done shades in them as well. 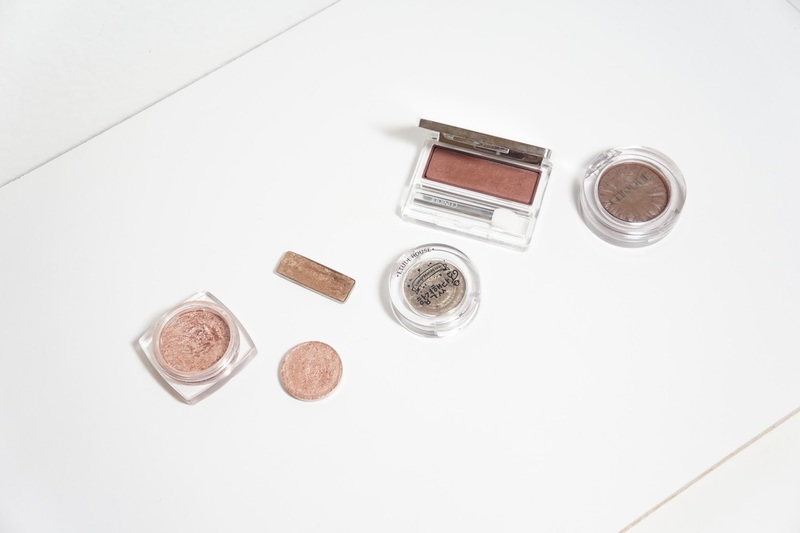 Powder eyeshadows aren't usually my first go-to choice since I tend to have to use primers with them as well, but these choices work wonderfully with and without primers. The L'oreal Infallible Eyeshadow in Amber Rush and Makeup Geek Foiled Eyeshadow in Grandstand are great rose golds to wear every day. These are also dark enough so that they don't look like I'm doing a frosty 90's eye look. The Urban Decay Eyeshadow in Smog was actually my first favorite eyeshadow and I even have a backup just in case this one runs out. It's a warm coppery bronze shade that's just really flattering on my eyes. 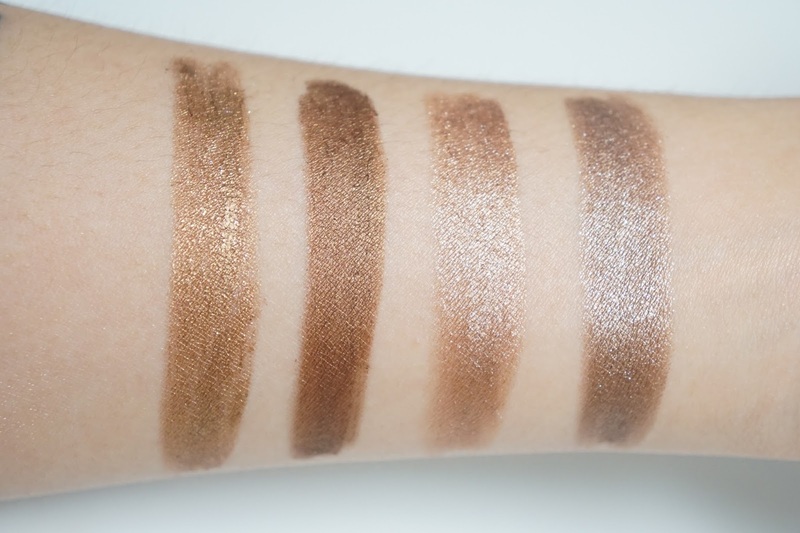 If you want something less coppery, the Clinique Lid Pop in Cocoa Pop is also a great choice. 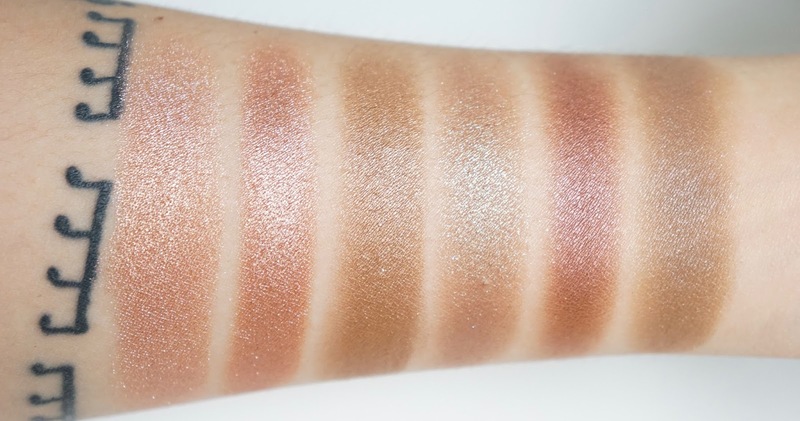 The texture is amazingly smooth and even though some people may consider it sheer, I feel like it's an eyeshadow that's made to be buildable. I usually do a wash of color as a base with a fluffy eyeshadow brush and then use a more dense brush to focus the pigment near the lash line to do a quick smokey eye. If you want something more fun, the Etude House Look At My Eyes Jewel Eyeshadow in GR707* and the Clinique All About Shadow Super Shimmer in Black Honey are different but still wearable. GR707 is one of those warm brown / bluey green duochrome shades but this shade has a more subtle shift compared to other similar products out there. I know MAC and Wet n Wild have their own versions, but I find this one is more work friendly. Black Honey is such a classic shade from Clinique and even though it looks pretty red based, there's enough dark brown in it to make it wearable. 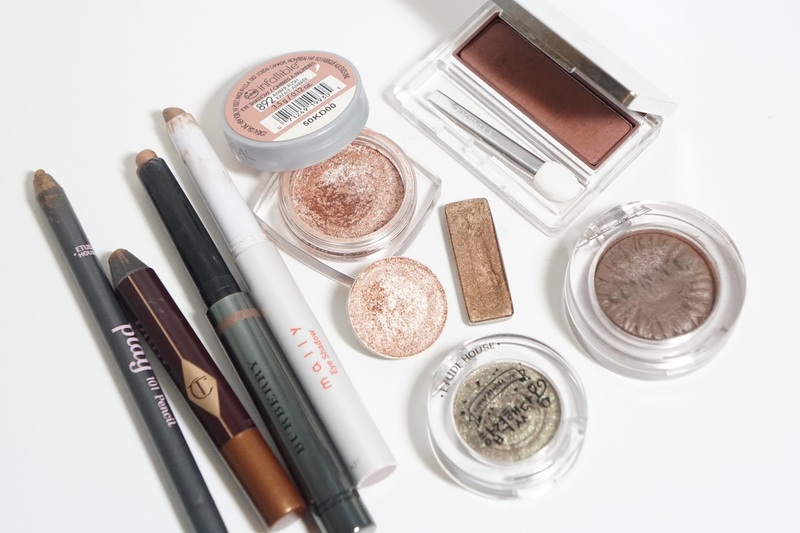 I have a couple of potted cream shadows as well, but stick cream eyeshadows are definitely my favorite to use. I still need to use my fingers to blend them out, but I find they're more convenient to use. Even though I'm focusing on four shades from different brands, I also recommend the other colors as well! I just didn't want this post to be a million words. 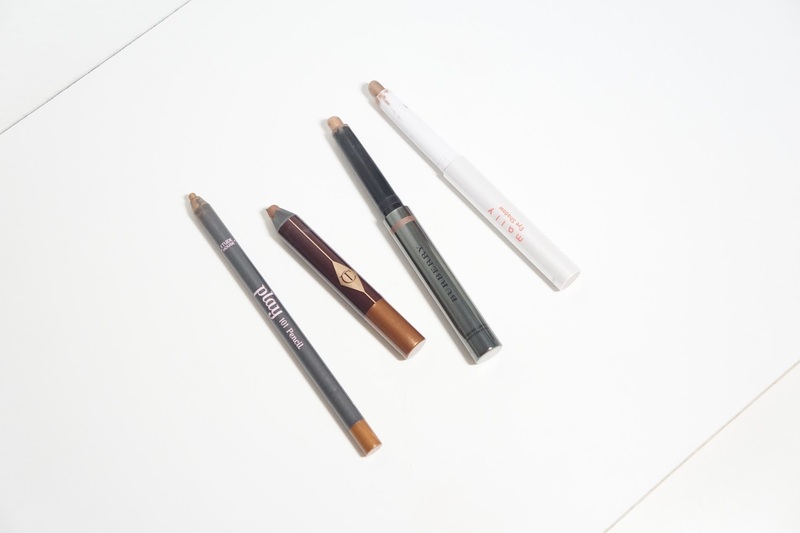 The Etude House Play 101 Pencil in 44 is a warm shimmery bronze shade and there's also some glitter in it as well. The Play 101 Pencils are so great and there's so many different finishes and colors that there's something for everyone. If you're going to get one of the Play 101 Pencils, I definitely recommend getting the later releases though since they're way more creamy. The one I have is from the original launch and even though it's great as an all over lid shade and eyeliner, it can slightly tug on the lids more than you would like. Some other great warm bronzey shades (I know, I have a million of the same shade) are the Charlotte Tilbury Colour Chameleon in Amber Haze and the Burberry Eye Colour Contour Smoke & Sculpt Pen in Pale Copper. Both formulas are some of the creamiest I've ever tried but they're also really crease, smudge, and budge proof. Amber Haze lasts the longest out of the cream shadows I've tried as well. If you want something slightly more cool toned, the Mally Beauty Evercolor Shadow Stick in Shaddle Shimmer is a great choice! I saw more cool toned, but it's probably just more neutral than the warm browns I normally favor. The Evercolor Shadow Sticks have been replaced with the Evercolor Shadow Stick Extra, but if they're even better than the regular line, they should also be amazing. I was trying so hard to be concise, but this post is still long. I guess I can't fight my wordiness. But phew! We're done now! What are some of your favorite "One and Done" Eye Shadow shades? *Etude House sends me products for free once a month as part of their Etude House Pink Bird program. All opinions are my own and are 100% honest. My First Foray Into MAC Eyeshadows!